DURHAM COUNTY (WTVD) -- After Wednesday's snowfall, the Durham County Sheriff's Office is reminding residents why it's important to drive with caution on wintry roads. Just before 6:30 Thursday morning, deputies were called to the 3000 block of Carpenter Pond Road after reports of an accident. When deputies arrived, they found a vehicle flipped over on its side. 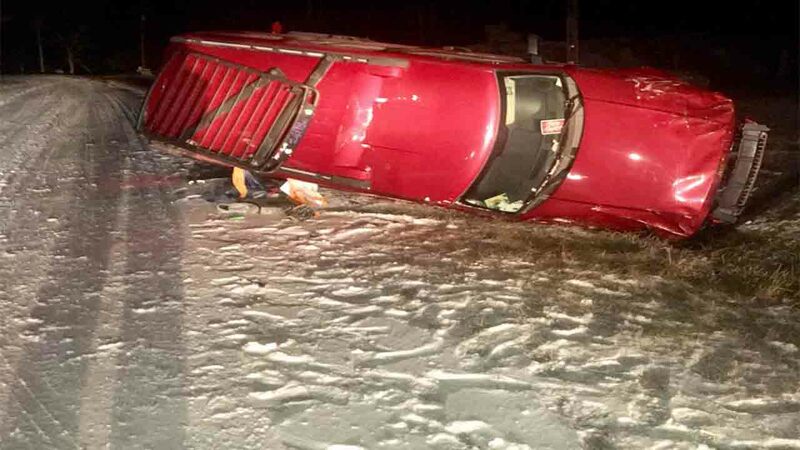 While the driver sustained minor injuries, officials wanted to remind everyone that snowy roads can be dangerous. The sheriff's office posted about the incident to their Facebook page saying, "Best advice: delay your morning commute." Many roads across the state are snow-packed and icy. Meteorologist Brittany Bell said they may stay that way for a while as temperatures remain below freezing.